Rarely available! Immaculate one bedroom garden suite at the much sought after QUEENS PARK PLACE. Quality built by BOSA. 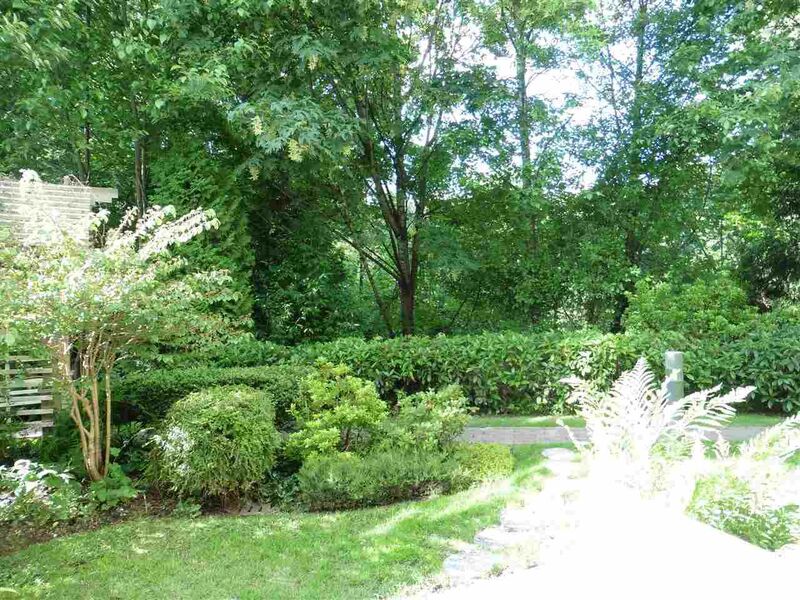 A gorgeous & Tranquil setting w/a garden & park view from all rooms & the huge covered patio. Country living in the City. Great for dog lovers. You'll love the gourmet kitchen w/solid wood cabinets, quartz counters & open pass through. Semi separate dining room, cozy gas F/P, gleaming wood floors & freshly painted throughout . Shows beautifully! (At least one occupant must be 55+.) Mtnce includes gas & H/W. Social lounge, exercise room, workshop room, garden, greenhouse & guest suite for out of town visitors. In suite laundry. Large storage locker. Only steps to transit, Glenbrook Ravine Park, Queens park, Care facility, Victoria Hill & Can. Games Pool & a pathway to Glenbrook Ravine Park. Excellent value!